Chomp, this adorable plush t-rex dinosaur from the Fiesta Lubby Cubbies collection, is ready to spark hours of imaginative play and adventure. 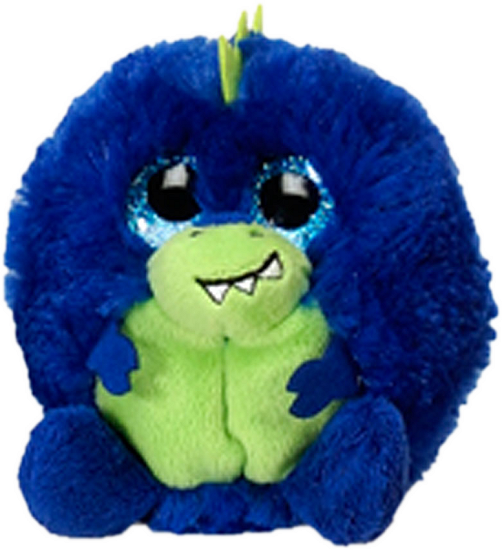 With soft royal blue fur, this sweet t-rex stuffed animal has floppy blue feet, lime tummy, snout, and felt scales, embroidered nostrils and toothy smile, and big, tear-drop shaped, sparkly turquoise eyes that will melt your heart. Tyke is an adorable plush triceratops dinosaur with soft vibrant orange fur, yellow horns, and sparkly golden eyes.